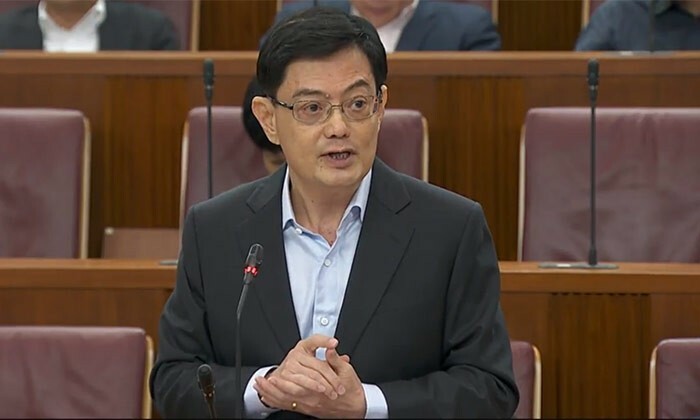 Citing “deep shifts around the world”, Singapore’s Minister for Finance, Heng Swee Keat, delivered the Budget for financial year 2017 in Parliament. He promised supporting measures for sectors hardest hit by these shifts, as well as looked to build internationalisation and digital capabilities in businesses and workers. Foreign worker levy increases in the marine and process sectors deferred by one more year. However, construction sector will proceed with the foreign worker levy increases. Wage Credit Scheme will continue to help firms cope with rising wages. Roughly 70% of the allocated SG$600 million is expected to go to SMEs. Special Employment Credit will continue to support employers with the wages of older workers till 2019. Over SG$300 million, which will benefit 370,000 workers, will be paid out in FY2017. Additional Special Employment Credit extended till end-2019 – Employers will receive wage offsets of up to 3% for workers (not covered by re-employment) who earn under SG$4,000 per month. Extension of the Additional Special Employment Credit will benefit about 120,000 workers and 55,000 employers, and will cost about SG$160 million. Increased wage and training support provided under the Career Support Programme, the Professional Conversion Programme, and the Work Trial Programme. Introduce an “Attach and Train” initiative for sectors that have good growth prospects, but where companies may not be ready to hire yet. Up to SG$26 million a year will be committed to support these initiatives. Step-by-step advice on the technologies to use at each stage of their growth through the sectoral Industry Digital Plans (typically retail, food services, and more). In-person help at SME centres and a new SME technology hub to be set up by IMDA, for advice on off-the-shelf technology solutions pre-approved for funding support. SMEs ready to pilot emerging ICT solutions can receive advice and funding support. Cyber Security Agency (CSA) of Singapore will work with professional bodies to train cybersecurity professionals, to strengthen capabilities in data and cybersecurity. More than SG$80 million to be made available for the above two programmes. Set up Innovators Academy to enable tertiary students (intake of 300 to 500 over the five years) to build capabilities overseas, building on NUS Overseas College programme. Establish Innovation Launchpads in selected overseas markets for entrepreneurs to connect with mentors, investors and service providers. Welcome Centres for innovative foreign companies to link up with Singapore partners to co-innovate, test new products in Singapore, and expand in the region. SkillsFuture Leadership Development Initiative will support companies to groom Singaporean leaders by sending promising individuals on specialised courses and overseas postings. For a start, the programme will target to develop 800 potential leaders over the next three years. Over SG$100 million set aside for the above two initiatives. Offer more short, modular courses, and expand the use of e-learning. Universities, polytechnics and ITEs have started offering such modular courses. Funding support for SkillsFuture approved courses will continue. Union members can get subsidies for selected courses through the NTUC-Education and Training Fund. National Jobs Bank will be made more useful for job seekers and employers, working with private placement firms to deliver better job matching services for professionals. Employers and TACs Trade Associations & Chambers) who develop training programmes for their workers and the industry can receive funding support from SkillsFuture Singapore. Industry Transformation Maps (ITM) will be developed for 23 sectors, covering about 80% of the economy. Six have already been launched, and remaining 17 will be launched this year. ITMs are “live” plans that will be adjusted along the way, such as if the Government spots opportunities, including ones that do not fit any existing industry. All in, the Ministry of Finance is putting aside SG$2.4 billion over the next four years to implement the seven mutually-reinforcing strategies identified by the Committee on Future Economy (CFE). This is over and above the SG$4.5 billion set aside last year for the Industry Transformation Programme. Diversity is a business imperative, but this often doesn't include fostering a welcoming culture for LGBT employees. We shine a sp.. The nation also received the highest total economic strength score and the highest government effectiveness score amongst 100 coun..
Not every office can deck the halls in style. In this round-up of workplace Christmas decorations we cover everything from the goo..